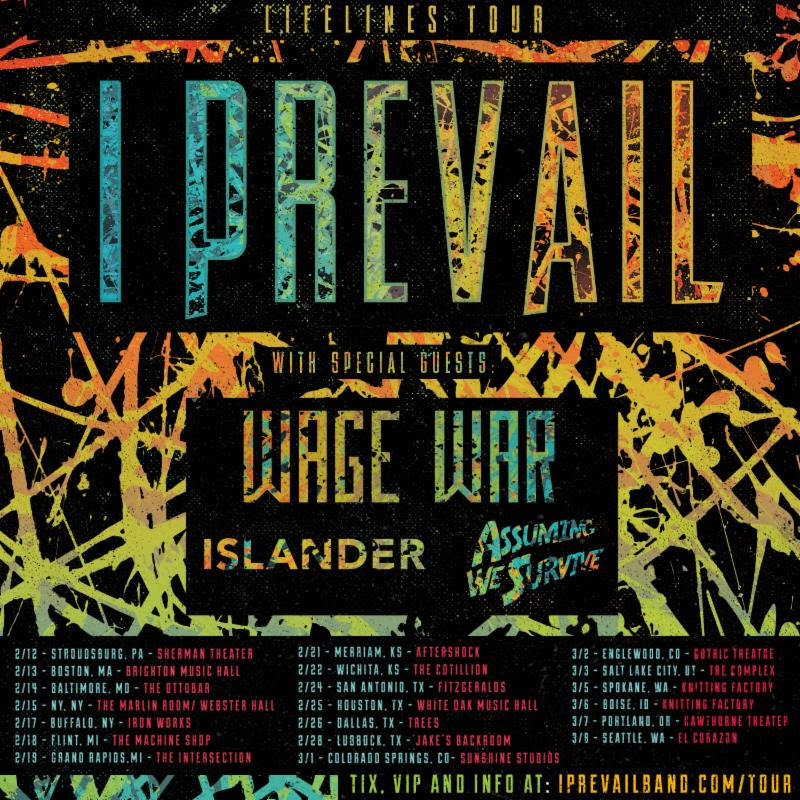 The metalcore band, I Prevail, announced a U.S tour, called the “Lifelines Tour,” for February and March. The tour is in support of the band’s latest album, Lifelines. Wage War, Islander and Assuming We Survive will be on tour, as support. You can check out the dates, details and poster, after the break.